We are happy to assist with the smallest of jobs like erecting a fence post to a full hard landscaping project in the Bournemouth, Poole and Christchurch area. We have a strong line of customers in Bournemouth, Poole and Christchurch who use us time and time again but will always welcome new customers who need help in their garden. 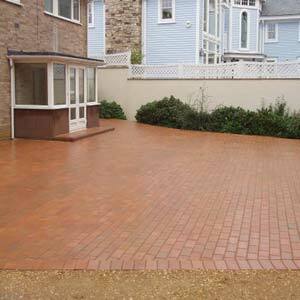 We are a small local landscaping and driveways business covering the Bournemouth, Poole and Christchurch areas. JMC Services offer all types of garden landscaping; this is where the visible features of a garden are completely changed or re-vamped. 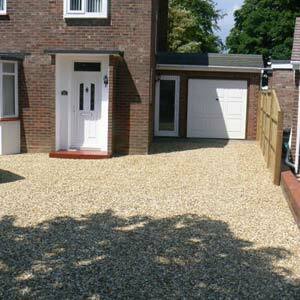 JMC services can lay driveways of any shape or size, using almost any kind of material including concrete, brick and block paving, tarmac and also shingle. 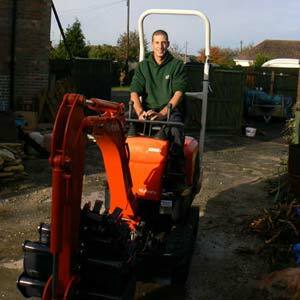 We provide a full preparation and laying service including rotavating, weedkilling and topsoil. 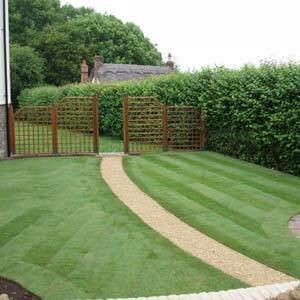 We use only quality turf from a local supplier all year round! 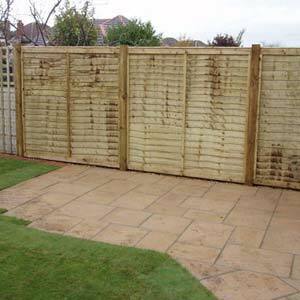 We erect all types of fencing including panel fencing, closeboarding and trellis. Fences can be created using all timber or concrete products depending on situation and tastes. We surface areas in a range of shingles and decorative chippings. Shingle is a cheap and effective way to cover an area and is also a good intruder deterrent. 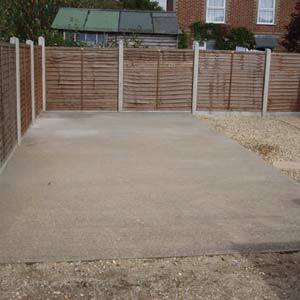 We prepare and lay concrete for drives, paths and bases in a tamped or float finish concrete. Although giving a basic finish concrete provides a good hard surface that is ideal for driving on, or erecting shelters/sheds on. 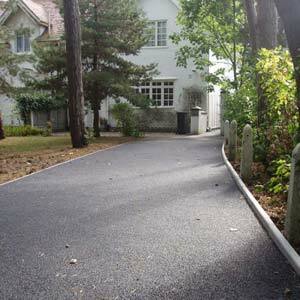 We prepare and lay tarmac for drives, paths and forecourts in a black or red finish. 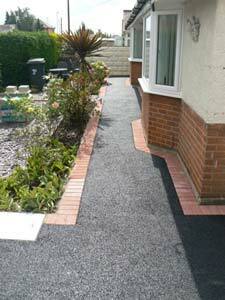 Tarmac is a good way of covering larger areas and often can be easily overlaid in years to come to freshen up the area. 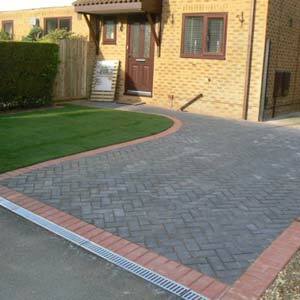 We provide a full preparation and laying service for a wide range of block paving materials for drives, paths and patios. 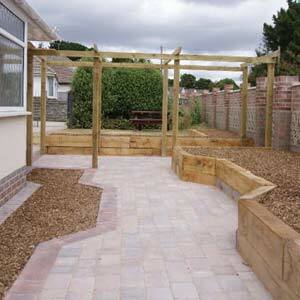 We can also incorporate block circles and raised planters in matching bullnose edgings. 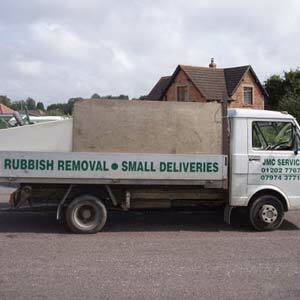 JMC Services are able to offer a rubbish removal service for domestic and commercial customers. We can also offer a regular service to all tradesman working from your building site. We can take away old bathrooms, windows, doors, bricks, mortar and general building materials. All types of rubbish including household waste, garden waste and rubble, etc. removed and disposed of in an environmentally friendly way. Please ask for a FREE Quote. Covering Bournemouth, Poole and Christchurch areas. JMC Services can deliver sand and gravel type materials to a maximum of 1 ½ Tonne per delivery. 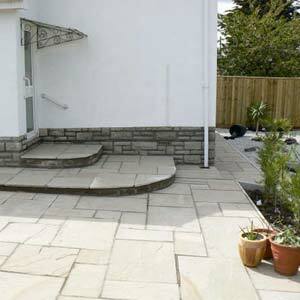 Suitable for all building works, house extensions, patio laying, and garden design jobs. If you need these materials delivered locally, but have no transport, please call us for an estimate cost. Estimate prices are dependant, according to quantity, weight, size and area location. Terms and Conditions apply to acceptance of all services.